Weir American Hydro is a leading supplier and installer of hydroturbines and pumps for hydroelectric power generation. They have a particular strength in improving the efficiency of existing power stations. Hydroelectric power generation can be a difficult, but valuable, field for computational fluid dynamics (CFD) analysis because of the complex-flows, demands for high accuracy and difficult geometries. Engineers from Weir American Hydro recently performed a study with Pointwise software for application to problems in this demanding industry. 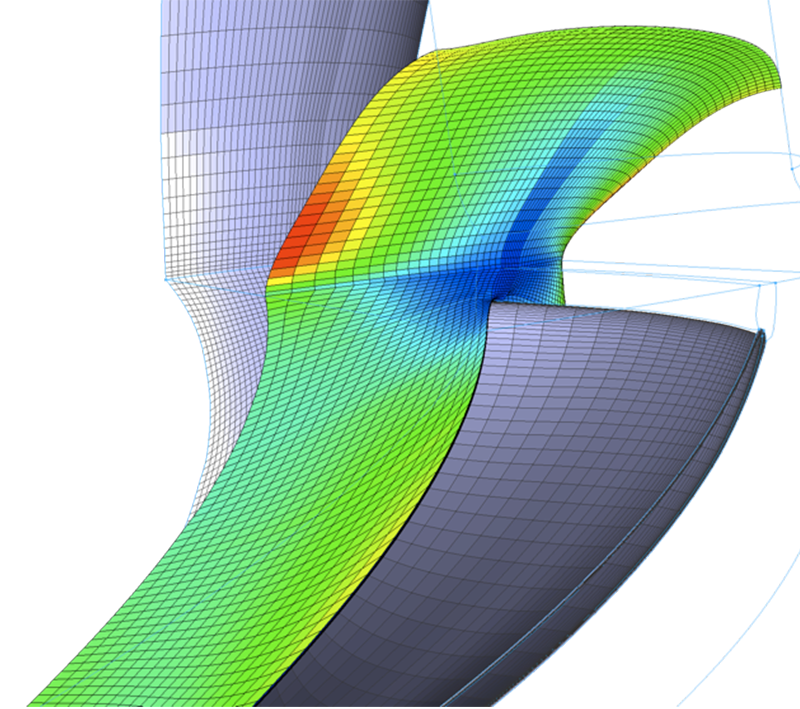 During their evaluation period, they quickly learned how to use Pointwise and used it to develop multiple-block structured grids for a propeller-type turbine runner and draft tube. The design of propeller turbines makes them suitable for high-flow, low-head applications not possible with Francis runners. The water flows in radially through wicket gates and exits axially from the runner into a draft tube that decelerates the flow and recovers kinetic energy. The overall geometry is shown in Figure 1 with the runner at the top in multiple colors and the draft tube in blue at the bottom. Figure 1: Propeller turbine inflow (top) and draft tube (bottom) geometries. To determine how to improve turbine efficiency, it is critical to have an accurate CFD solution through the blade passages. The most reliable way to achieve high accuracy is with a multiple-block structured grid, but the twisted geometry and high-solidity of the runners in a propeller turbine can make it difficult – even for experienced engineers – to build a high-quality structured grid with point-to-point matched periodic boundaries on them. However, in less than two months, engineers at Weir American Hydro were able to learn Pointwise and build high-quality, multiple-block structured grids for a propeller turbine. Figure 2 shows a cut through a portion of the grid for a propeller-type runner. The surface grids on the inner portion of a single runner are shown in gray and a cut through the volume grid, roughly aligned with the flow direction, is shown colored by cell volume. The block topology is illustrated by the blue block edges seen in the figure. Figure 2: A portion of the Kaplan runner grid. 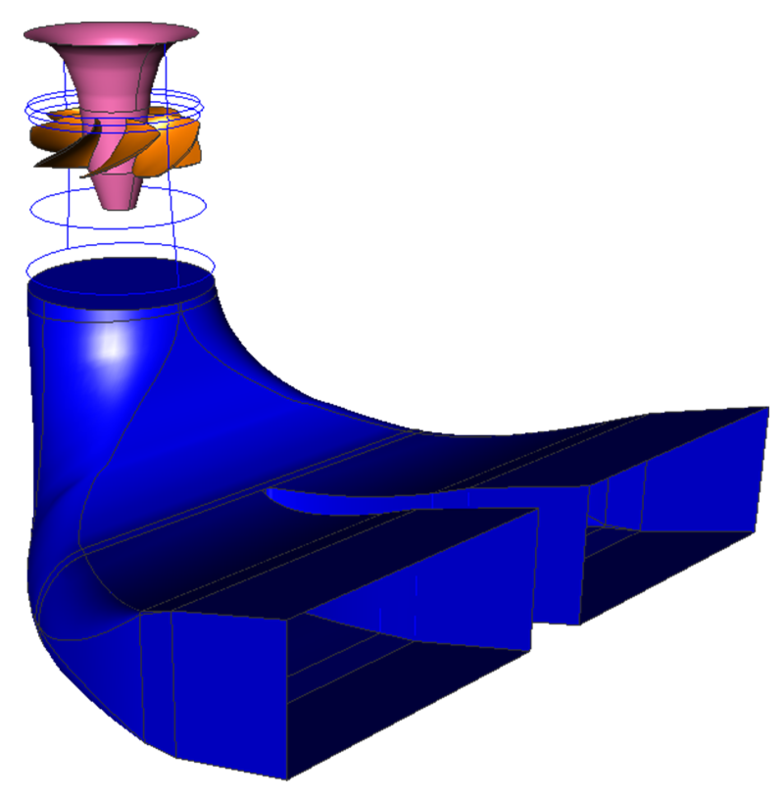 There were other advantages to Pointwise besides the ease with which high-quality, multiple-block structured grids can be created: Weir engineers were able to take advantage of Pointwise's ability to export grid and boundary conditions in the native format of many different CFD solvers, including ANSYS Fluent and OpenFOAM®, and its flexibility in mixing and matching different mesh types. For instance, they were able to save meshing time by using hybrid grids in the draft tube, where accuracy may not be as critical as it is for the runners. 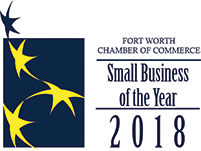 All in all, this study showed that because Pointwise has built-in ease-of-use and flexibility, an engineer experienced in a particular field can get up to speed on meshing and begin analyzing difficult problems with a high level of accuracy in a short amount of time. Find out how many minutes it takes to generate your mesh using a demo license of Pointwise. Start the process today.